Since this cafe became a great hit in Manila, I totally made sure to grab a bite of this Magnum Cafe Manila. Who could can't resist this amazing luscious ice cream served in a mouth watering culinary style. Magnum Cafe Manila is located at SM Aura in Taguig City. What better way is it to spend it no other than with your family for more sweet memories like we do. 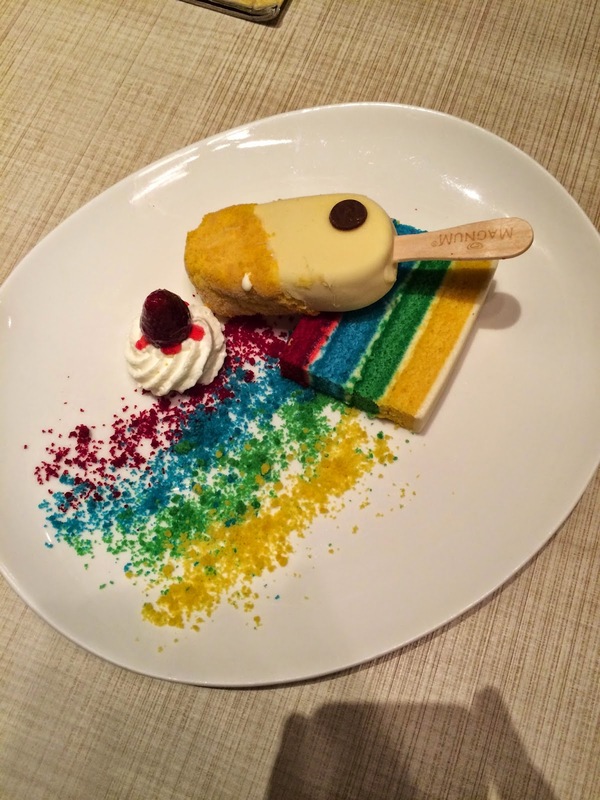 We tried two best sellers menu under dessert category of Magnum Cafe. The Rainbow Dream (250PHP) is a white chocolate covered vanilla Magnum bar covered in dreamy rainbow crumble, on a moist slice of cream cheese rainbow cake. You also have to try the Red Velvet (290PHP) moist red velvet cake and cream cheese, on a slate paired with vanilla Magnum and dark chocolate sauce, crushed pistachios and red velvet crumble. Another breathtaking nature given tourist spot in Krabi is their Emerald Pool. This place has been one of the most highlight of most travel must see in Thailand. When I first saw it on brochure, I taught it was just a usual lagoon or river with its crystal clear water that's so noticeable. Not until I discovered myself this mythical and magical pool that was totally worth the 2 hour deive from Krabi Proper. Since this birthday OOTD comes with a great story behind it, I made sure to make a special fashion blog post for this. It's really challenging and to be honest, finding the best outfit on this most special day of my 365 days for 2015 was quite tough but still fulfilling. When we go birthday party, we usually see the celebrant wearing something with a hint of red so this was the core theme of this look, trying to find the best fashion piece. I went to all around ION Orchard here in Singapore from Zara, Topman, Pull & Bear to A/X but I ended up in H&M to find this red pullover to jusitfy what's on my mind. I'm a black color fashion staple kind of person lately so I just simple paired it with black denim jeans and this Nike Jordan in plain black bold color. Of course my outfit will not be complete without my cap. 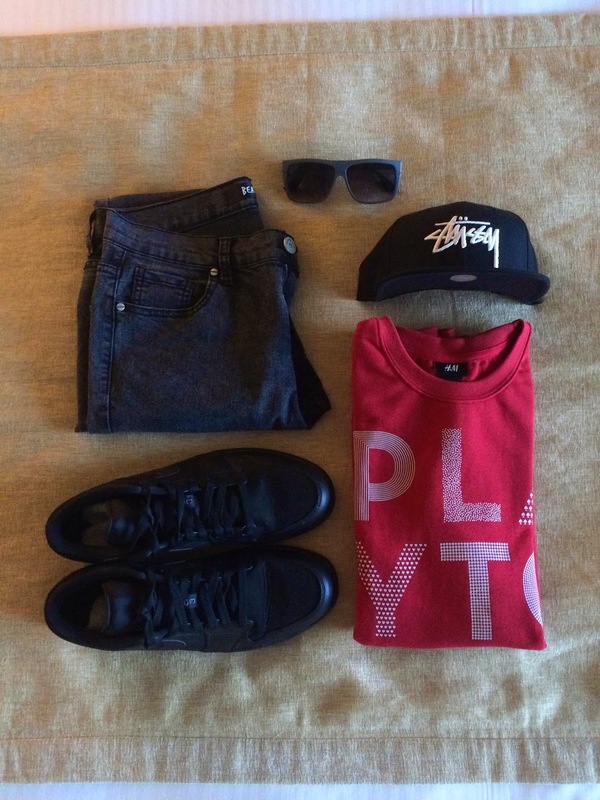 This was from Stussy in original logo design. Welcome to my friend's staple food haven no other than Marche. This restaurant has several outlets but we usually go to Vivo City & Somerset Station in Singapore has too much celebratory highlights and friendship memories as we usually go here for mandatory dinner meet ups and random hunger episodes. If you're looking for something fresh, healthy & fast Marche will satisfy all these plus you will experience healthy indulgences cooked right before your eyes! Some of our favourites will be the Swiss Rosti, Parma Ham Pizza, Mushroom & Potato Salad and of course their crepe. Swiss Rosti, Chicken Crepe & Vegetable Salad Combo. Welcome to Ao Nang Silver Orchid Resort. If you're searching for that peaceful nature blended with the modern style resort, this is the place to be for enjoying your holidays in Ao Nang. It is located in a very quiet and peaceful place overlooking the mountain scenery and cliff limestone in Krabi Thailand. It is a three star resort that offers real privacy and tranquility. Ao Nang Silver Resort have variety of room types and I got the Pool Access Room. This is a modern style resort and my stay here was completely unforgettable especially with their friendliest staff who assisted me carrying my luggage when I checked in, arranged day tour and also helped me bring to my next hotel the day after checking out. The room have well maintained aircon, bathrooms and toiletries that you need. The bed is heavenly comfortable but what I enjoyed the most was the pool access overlooking the large swimming pool overlooking Ao Nang's mountain view for me to relax and enjoy. Discover the best Krabi day trips where you can go swimming, snorkelling, sunbathing & relaxing. On my first day in Ao Nang, I had one day tour to 4 Islands near Krabi's sea. You can have this tour program either by speed boat or long tail boat. The usual price for this tour will range from 1000 - 1200 baht, depending on your bargaining skills. At exactly 8:00 AM, the package includes pick up from your hotel. It will transfer you to the local pier where all tourist will meet up for orientation. First stop will be Phranang Cave with king, beautiful sandy beach and swimming - ideal desert beach suitable for relaxing or exploring, both in and out of the water. Next stop will be the Chicken Island where you will experience snorkelling on coral reefs. We went next to Tup Island, a place popular for its famous sandbank. Lastly we had a long stopover at Poda Island which is another tropical beach with quiet atmosphere and we had picnic lunch here. After this trip, the package also includes transportation for hotel transfer. It also includes life jacket, drinking water, English speaking guide, lunch and travel insurance as well. Totally worth it. Tourists arriving in Tup Island using long tail boat or speed boat for the island tour. Imagine yourself waking up in the morning to this view while preparing for a good Thai buffet breakfast before heading to your island tour or beach sun tanning session, there's no other way to have it done by booking the best hotel when you're on vacation. 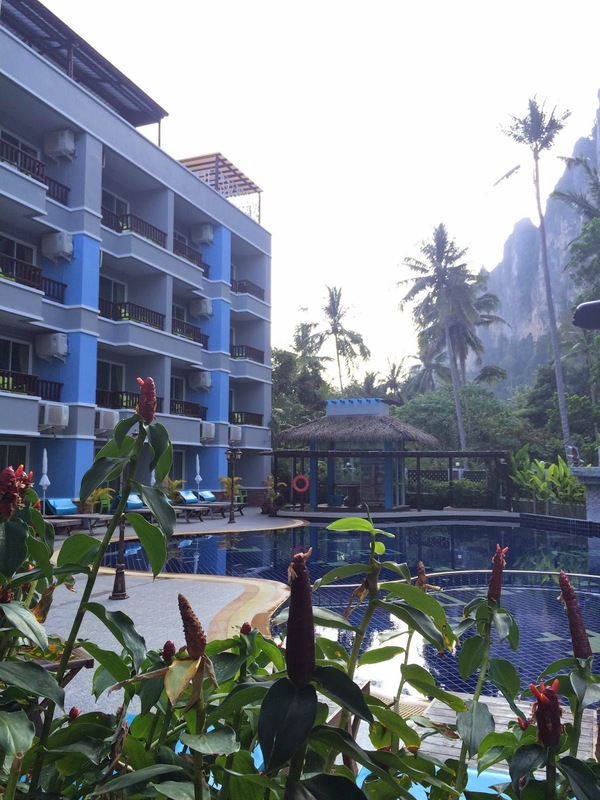 On my recent trip to Krabi in Ao Nang, I stayed in one of the best hotel deal via Agoda.com and I will definitely recommend this place to you all. Welcome to Ibis Styles Ao Nang Hotel! Nowadays, choosing hotels are so convenient through various online platforms competing for the best deals for accomodation whether its hotel, hostel or bedspace too. I always go to Agoda to book my hotel accomodation and this hotel provided me the best location to maximize my ultimate travel comfort and tour experience in Thailand. 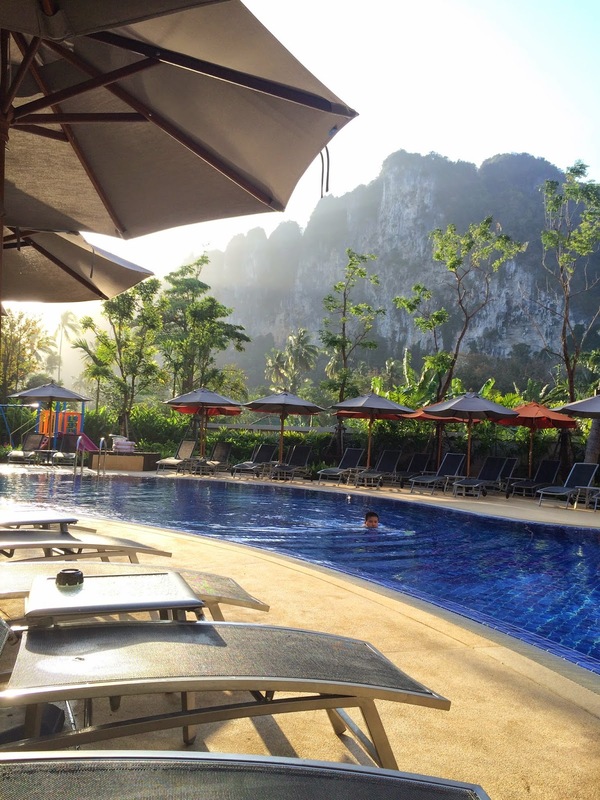 I bet you will love their swimming pool overlooking the famous Ao Nang Cliffs. I also appreciate the strategic location of the hotel as it's only few minutes walk away from the beach front and easily accesible by transportation. They also offer heavenly bed, good wifi, excellent breakfast, clean rooms and good customer service.
" Run away and run toward, at all times. Run in such a way that it stokes the flame and fire of feeling and reminding that you are alive! " I'm currently having the most stress free night of my life this year! Yeah, I'm on vacation mode now and my first day here in Krabi Thailand was awesome so far. I'm staying now at Ibis Hotel here in Ao Nang Krabi and before I go to sleep, just can't help but share this photos using Hero 4 GoPro and my ever reliable iPhone 5S. Tomorrow I will be on a full day tour to 4 Islands of this paradise and I'm pretty sure my upcoming blog post of this travel will be worth your time reading. Enjoy! Sunset at Krabi Island Beach. Here's another beach bum outfit I conceptualized during my year end getaway to Indonesia. I will always love playing colors and prints when I'm on the beach only. Haha! Coz lately I have been wearing basic color matching when I do style my OOTD. In here, I used various vibrant colors to make it look beach appropriate. I'm wearing green coconut print top from Bershka. I paired it with orange beach shorts from Factorie, a locally based Singapore fashion brand. Making it a little interesting, I add in white shoulder canvas bag and floral Supreme cap. Don't forget your sunnies and slippers to complete your outfit. I used my Vans aviator and Havaianas slip on for this look. This is the best borthday I had so far. Yes, my 26th Bithday celebration last month was held at Marina Bay Sands and I'm thankful for my generous sponsors for making all these possible. It's also the longest birthday celebration For 8 consecutive days from W Hotel, marina Bay Sands down to Raven Bar Manila til my last stop to celebrate Sinulog Festival in Cebu City Philippines. So here's the highlight of my celebration. Let's talk about Shoe Therapy! I don't know exactly where and why it started but I'm proud to say that right now I have 21 pairs of awesome shoes collection from sneakers, running shoes to branded ones. And I got all of these on good deals from all random fashion sales in Singapore last year. So will share with you some of my shoe selfie collections from my Instagram account and have compiled all these photos for this blog post. What's your favourite pair?